Keep up to date with our new editions designed to suit all learning needs. Highly likable Student's Book of adequate content which offers just the right proportion between vocabulary and grammar! As a rule, every year the children love the Student's Book! Exquisite Teacher's Book with Student's Book pages and detailed instructions for teachers. I have been teaching English in Saudi Arabia for more than twenty years. I can confidently say that your efforts in providing MOE with high-standardized, carefully-developed and gamified-content are yielding astonishing results. I am greatly indebted to you and your great team for changing the way we teach English in Saudi public schools. 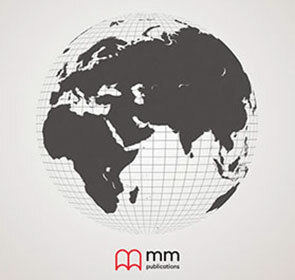 MM books are perfectly suitable to the Moroccan learning/teaching situation. The components that make up the total course package do indeed facilitate teachers' work. The topics are of genuine interest to Moroccan teenagers, and the modular topical organisation allows for practice in using all four skills in an integrated way, around the same topic. The English Hub is a perfect answer to the question what to do with adults who need to acquire simple communicative English. Lively dialogues present grammar and vocabulary in context of everyday situations. The main focus is on listening and speaking skills. This series is perfect for people who want to travel or work abroad. I highly recommend it. It is a very complete book, with the kind of listenings needed for PET. Very good introduction to word formation, aimed at a future FCE exam. I’m also happy to get updated vocabulary and idioms. A vital part of doing great work is getting great results. At mm publications, we have done it and have the track record to prove it. Our growth and success are the result of building deep and longlasting relationships with our clients around the world. If you are a distributor or ministry stakeholder interested in getting in touch with us, please contact us. We have a dynamic presence at major publishing events every year and will be happy to meet up with you.